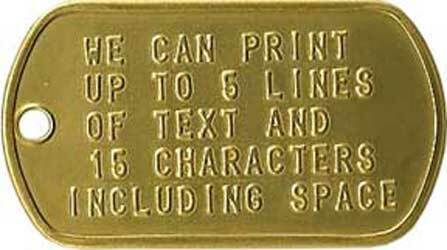 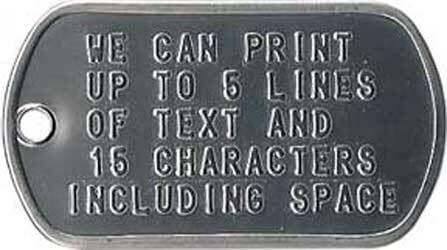 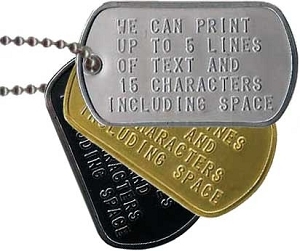 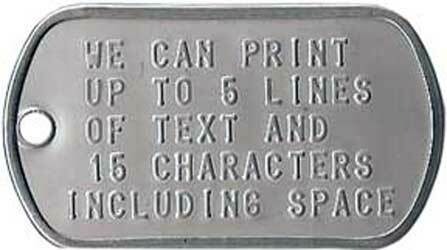 Military Spec Custom Dog Tag is manufactured on premises. 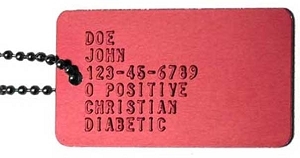 Enjoy the same tags worn by todays Military. 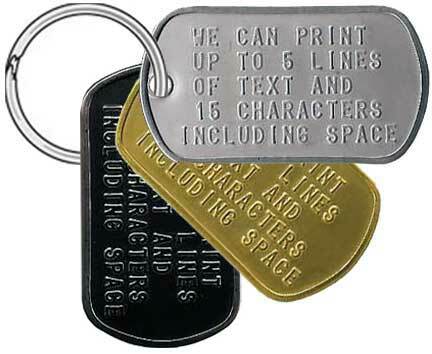 Includes 1 dog tag with 1 1/4" chrome keyring. 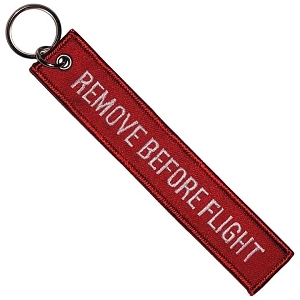 Use for keys, luggage tags, pets, etc. 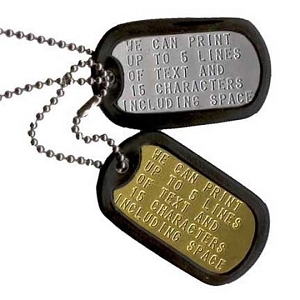 Outstanding, you need dog tags this is the olace to get them.